I have a confession to make. Before yesterday, I had never been to the part of the Greenbelt in the Mopac/Capital of Texas Highway corridor. As I was exploring, I came across a beautiful sight underneath the north bound Capital of Texas Highway overpass. 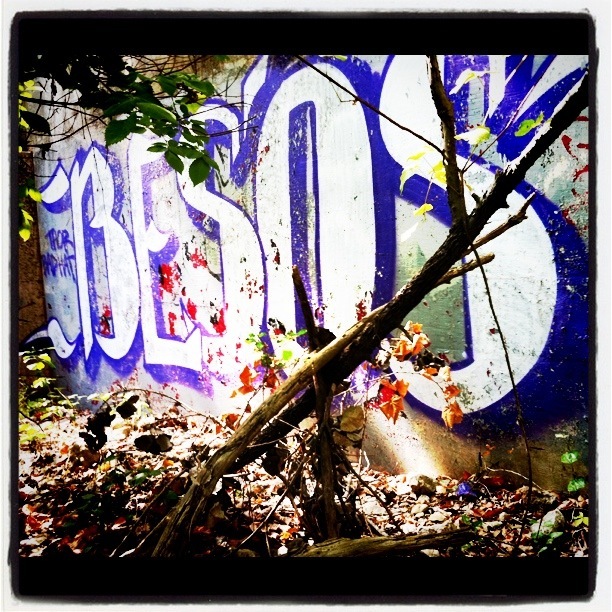 Along one of the walls, in Old English stenciling, the word “Besos” (kisses in Spanish). My heart melted and a big smile spread across my face as I soaked it in. I love finding little niches of art in the most unassuming of places. And the fact that it spells out kisses… well, that just makes it better.